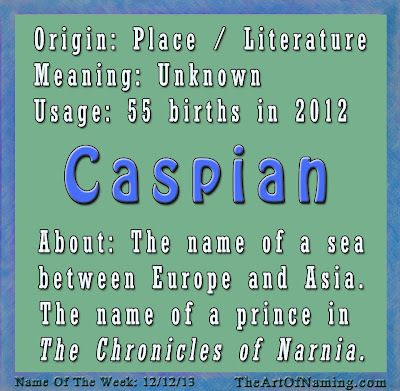 As a name, Caspian is relatively new. It is most notably the name of a sea between Europe and Asia that is considered the largest enclosed inland body of water on Earth. It is said that it was this body of water that inspired the name of the other notable Caspian: Prince Caspian of the children's book series The Chronicles of Narnia written by C.S. Lewis in the 1950's. Prince Caspian first appeared in the fourth book of the popular series as the rightful King of Narnia. The Caspian Sea has a complicated name history itself including a number of different names and spellings in a variety of languages in the surrounding countries. But it is said to have been named for the city of Qazvin which was named for the ancient Cas tribe, or the Caspian people. The origin of the name comes in direct relation to the Sea which is situated between Iran and Russia. Caspian is mostly just considered a place name with an unknown meaning and origin since it borders so many countries. However, the Romans referred to the people from which the name originally came as the Caspii so perhaps it could fall in the Latin category? It is also said that the Caspii originated from a region of the Caucasus and that their name may mean "white". However there is also an association with the biblical name Cush which is an Ethiopian word meaning "dark-faced" or "swarthy". 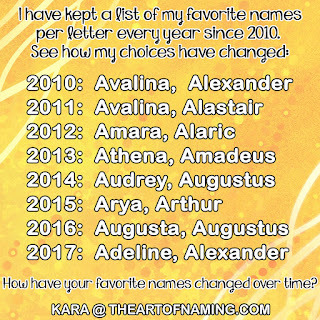 Since this is not yet fully established as a baby name, none of this type of information is clear and accurate. Take from it what you will. 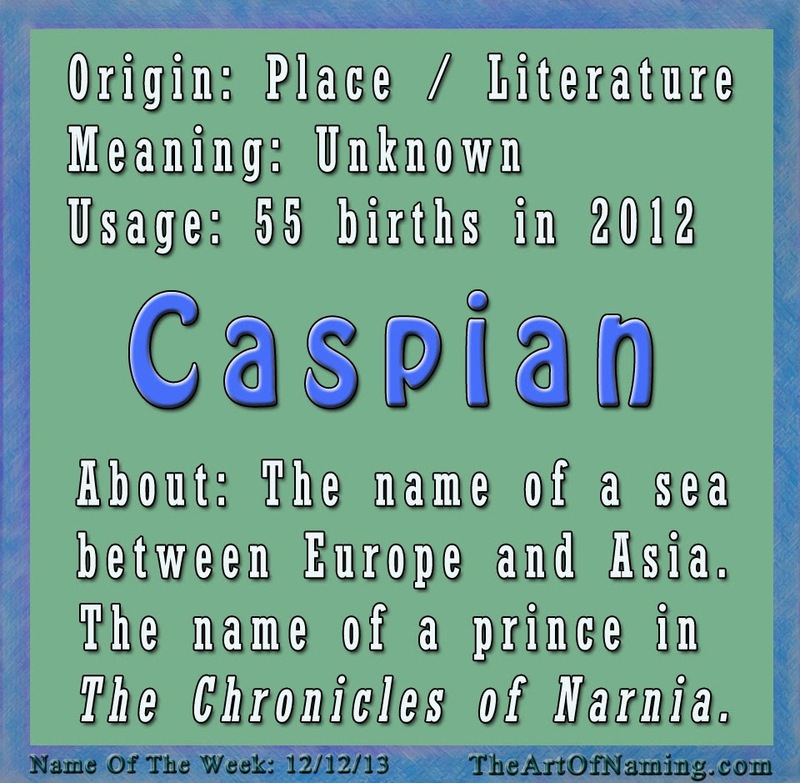 Beyond these two namesakes, the romantic and cutting-edge Caspian does not have a lot of experience as a baby name. Actress Neve Campbell used it for her son in 2012 along with 54 other parents which ranks it at #2312, but this name has only been in use in the US since 1998. Right now it is at its highest popularity point ever but I expect it to continue climbing the charts. Caspian is cool, unique, familiar and romantic! I've seen it floating around the baby naming community lately. It has even graced my own shortlist. It is similar to Casper without the ghostly reference and falls in line with all the other -ian names, like Cassian, that are gaining popularity. What do you think of it? I love Caspian! I suggested it to my husband and he liked it too. Our favorite boy name is Atlas and I think Atlas and Caspian would make for charming brothers! The Art of Naming: Unusual and Quirky Middle Names for Boys!